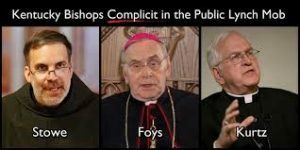 3) Let our bishops know: If you want my money, find your spine and act like a shepherd. (Otherwise, my money will go to some other Catholic entities that are not run by cowards). Well said Bill912. It’s pretty bad when a Protestant, Franklin Graham, has to tell Cardinal Dolan to take a stand. Pathetic. Our Lord must be weeping. If our own leadership will not stand up to Catholic abortionists what can we do? I think that we need to let them know our how we feel. Is there any vehicle where I could tell Cardinal Dolan or other Cardinals or Bishops about my disappointment? Is there a pro-life organization that can make individuals feelings known? We do not vote for the men that lead us in the Church, that is probably a problem. It may also be the problem for sextual abuse issues. Our leadership needs to be more transparent and accessible. 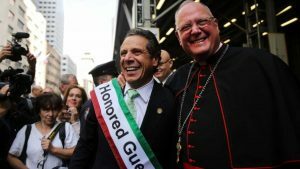 Dolan has consistantly defended the Democrat party on his appearances on SiriusXM radio ‘s Catholic channel.